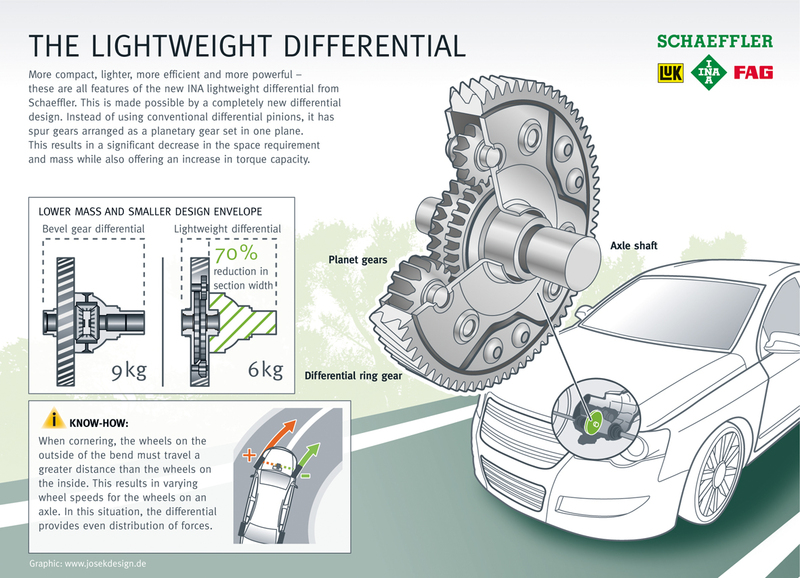 More compact, lighter, quieter, more efficient and even higher performance – these are the attributes of the innovative lightweight differential. The completely new architecture of this component allows the installation space to be reduced by 70 %. The lightweight differential has spur gears arranged as a planetary gear set in one plane, which results in 30 % lower weight compared with the conventional design. The lightweight differential is also a key component for innovative solutions in electric mobility, such as the eDifferential.